NDA presidential nominee Ram Nath Kovind is likely to visit Vijayawada on July 4. 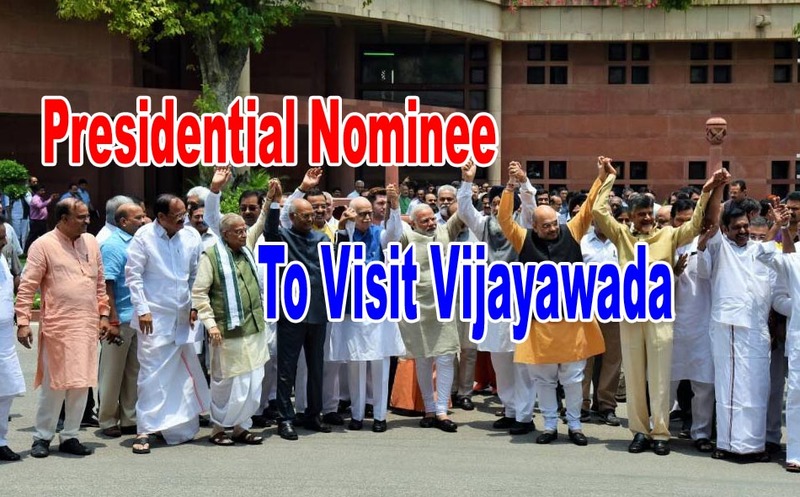 The sources say he will meet MLAs of Andhra Pradesh to seek their support to his candidature in the Presidential election. Union Minister M. Venkaiah Naidu will accompany him. Already the higher officials of the government have received information on Kovind's Visit, the sources said. During his tour, Ram Nath Kovind will meet Chief Minister N.Chandrababu Naidu. Other details of his visit are not yet known.